I can’t remember when it happened exactly, but it was sometime in the last 2 years. We fell in love with waffles again. Part of it was we finally bought a waffle iron. And part of it was that weekend desire to ‘treat yo-self’! Something special that doesn’t take tons of time, but not something you put down for during the week. 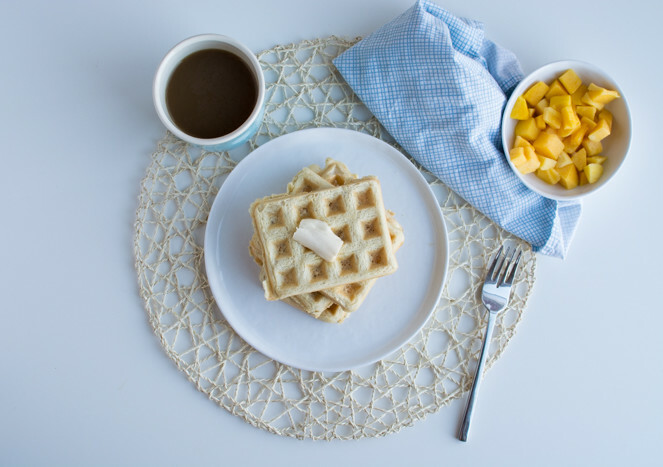 This recipe makes 12 waffles in the Cuisinart Griddler using the waffle plates. Store extras in a Ziplock bag in the fridge or freezer. All they need is a quick pop in the toaster to reheat. Crispy edges. Warm inside. I love them with a little Earth Balance margarine, some fruit, and maple syrup. Mangos are 👌. 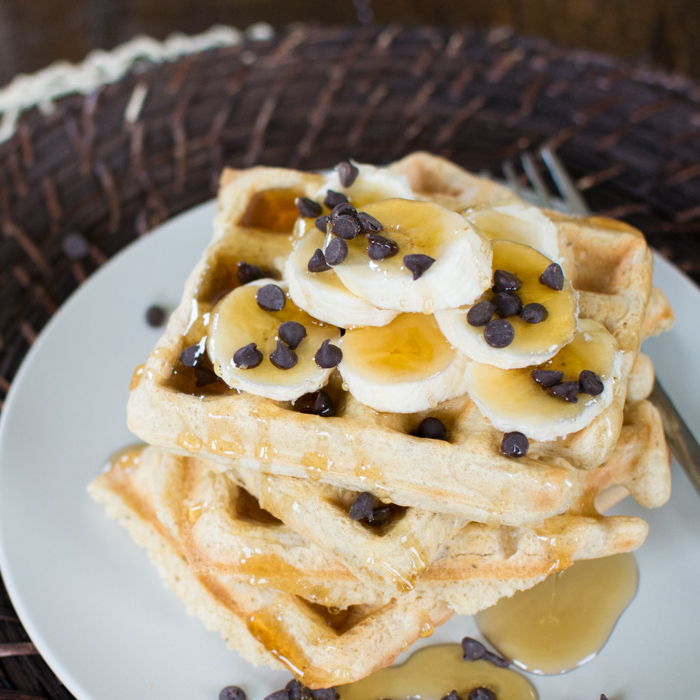 They’re also really good with a few bananas and chocolate chips. In a small bowl whisk soy milk, apple cider vinegar, and vanilla extract. Set aside. Preheat waffle iron. For the Cuisinart Griddler use the 'grill' setting and set the temperature to 400F. Light will turn green when it's ready. While that's preheating make the batter. In a large bowl whisk flour, coconut sugar, baking powder, baking soda, chia flour, and salt. Add in the liquid mixture and whisk until the dry ingredients are incorporated and no longer visible. 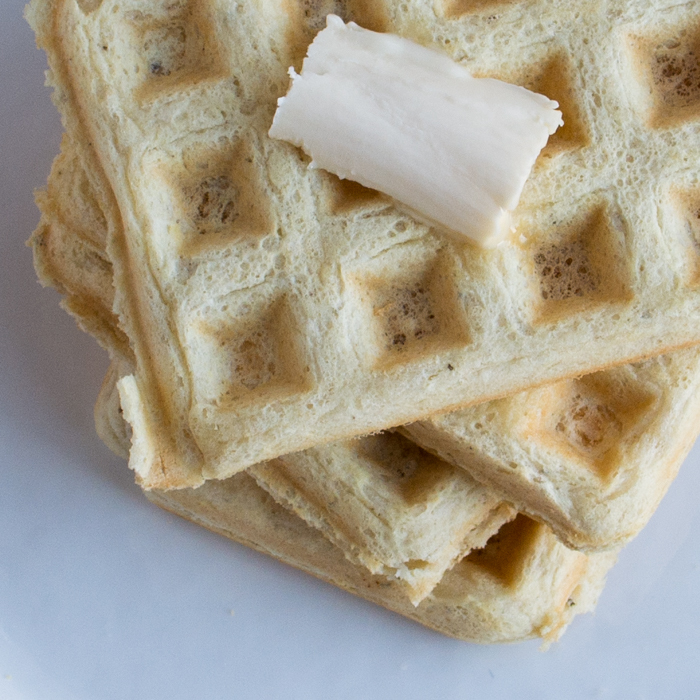 *For the griddler use about 1/2 cup of batter per waffle square. Close the lid and cook for 5-6 minutes. Store in the oven or microwave until finished. Takes about 15 minutes to cook all of the batter. 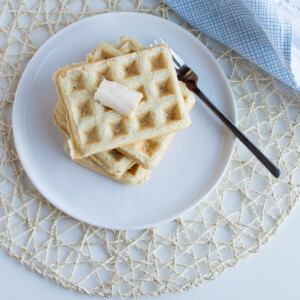 *If it's your first time using your waffle iron it's good to melt a little coconut oil and brush it on the plates or use a bit of cooking spray before you pour the batter. After a few uses it's usually not necessary. If all else fails just draw yourself a bath. If you give this recipe a whirl, let us know. <3 Leave a comment below and don’t forget to tag a picture with #feedyourskull and @feedyourskull on Instagram! Glorious! I’ve been waffling (couldn’t resist the pun) over getting one of these uni-taskers myself recently, since I moved and have been trying to properly equip my new kitchen. 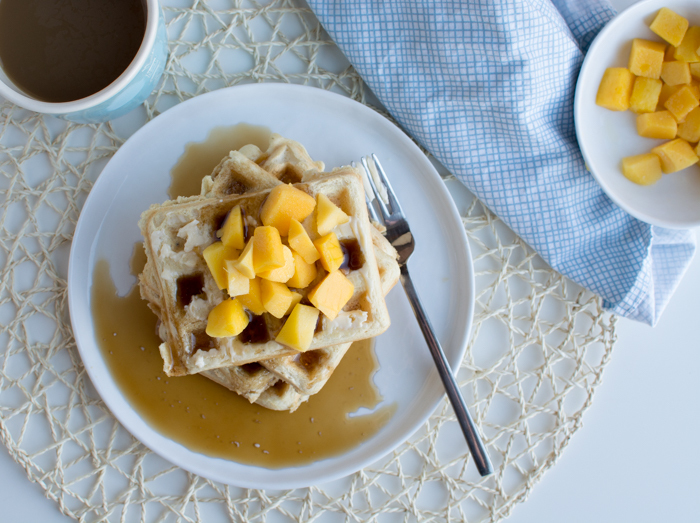 You’re definitely pushing me towards the purchase with this awesome recipe… I could sure go for some breakfast waffles right now! Oh my goodness it’s a waffle bath. That’s great! & freaking hilarious!! 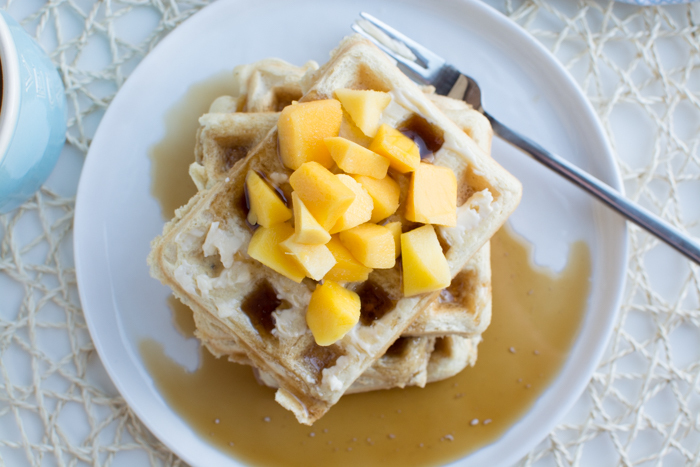 These waffles sound delicious and we will definitely be trying them out soon! That and perhaps the waffle bath.